The Winklevoss twins, the two brothers that claim to have originally come up with the idea for Facebook, are pursuing Mark Zuckerberg in the courts yet again, seemingly unhappy with the $65 million payoff already offered. The twins gained mainstream notoriety following the release of The Social Network film late last year. 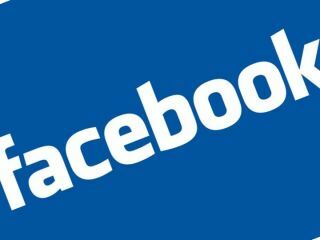 Unhappy with the $65m settlement offer from Zuckerberg to date (who wanted an end to the 'rancorous litigation') Tyler and Cameron Winklevoss and their partner Divya Narendra are now claiming that Facebook misrepresented its stock price at the time of making the settlement offer, depriving them of millions. Still, today the Winklevoss twins plan to ask the Ninth Circuit Court of Appeals in San Francisco to undo the $65 million settlement previously agreed in order for them to pursue Zuckerberg for yet more money. "The settlement they reached involved $20m in cash and $45m in stock based on a valuation of $36 a share," said lawyer Jerome Falk, representing the Winklevoss twins and Mr Narendra. "Facebook failed to disclose that at about the same time its board of directors had approved a valuation of $9 a share which was to be the basis of stock options for key employees. Facebook did not disclose this significant piece of information. "This was a highly material fact and the fact they didn't disclose it is a violation of federal security law." Mark Zuckerberg was voted Time's person of the year last month.